The Metropolitan Police said the figure is expected to go up. The 24-storey building holds 120 homes. A major fire broke out in Grenfell Tower, a London high-rise apartment building, early Wednesday, leaving at least twelve people dead. At least 74 people were injured, of whom 20 are in critical condition. The apartment block on the Lancaster West estate in north Kensington, west London, has 24 storeys and 120 homes. 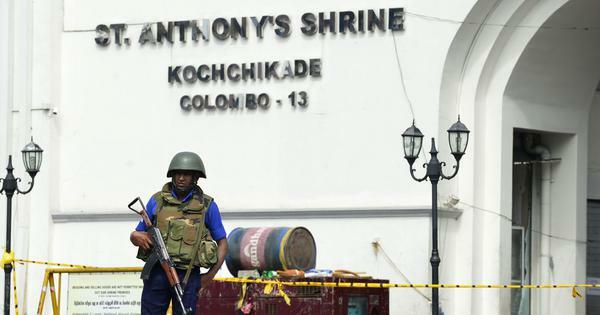 The fire was reported shortly after 5.30 am IST (1 am local time). The Metropolitan Police confirmed in a statement that a number of people have been killed in the fire. The police, however, said it will take some time to confirm the cause of the fire. Around 250 firefighters, 40 fire engines, 100 medics and 100 Metropolitan Police officials are at the spot and trying to evacuate residents from the tower as well as those from buildings nearby. Several people have sustained injuries, the police said, and are being treated. 8 pm: The West side of the tower seems to be smoking and very blackened, but appears to have no live flames. 5.31 pm: Danny Collins, the commissioner of the London Fire Brigade, says she has concerns that people may still be inside the building. She says firefighters have only suffered minor injuries. Crews will remain at the scene for the next 24 hours. 5.02 pm: A 10 Downing Street spokesperson says Prime Minister Theresa May is deeply saddened by the tragic loss of life in Grenfell Tower and has called for a meeting of the civil contingencies secretariat at 4 pm. 4.56 pm: Rydon, the contractors who carried out the £9.7m refurbishment of Grenfell Tower, issue a statement saying the building met fire and health and safety standards. “We are shocked to hear of the devastating fire at Grenfell Tower and our immediate thoughts are with those that have been affected by the incident, their families, relatives and friends. Rydon completed a refurbishment of the building in the summer of 2016 for KCTMO (Kensington and Chelsea Tenant Management Organisation) on behalf of the Council, which met all required building control, fire regulation and health & safety standards. We will cooperate with the relevant authorities and emergency services and fully support their enquiries into the causes of this fire at the appropriate time. 4.45 pm: At least 64 people have been injured, of whom 20 are in critical condition. 3.15 pm: Police and firefighters have to use riot shields to protect themselves from the falling debris, according to Evening Standard news. 2.46 PM: After residents say they were offered advice to stay in their apartments in event of a fire breaking out, Sadiq Khan, the Mayor of London, said questions need to be answered about this. 2:13 pm: Paul Woodrow, from the London ambulance service, says 100 medics are working at the scene. He confirms 50 people have been taken to the hospital. 1.47 pm: Rydon, the company responsible for cladding and retrofitting refurbishments at Grenfell Tower, removes all references to the refurbishment from their website, reported The Guardian. 1 pm: The number of people taken to the hospital increased to 50, confirm London Ambulance Service. 12.54 pm: The Metropolitan Police confirm in a statement that a number of people have been killed in the fire. The police, however, say it will take some time to confirm the cause of the fire. 11.10 am: London fire brigade issue a statement: “Forty fire engines and over 200 firefighters and officers have been called to a tower block fire on the Lancaster West estate in north Kensington this morning. The brigade has received multiple calls. The fire is from the second floor to the top floor of the 27-floor building. 10.54 am: London Ambulance Service confirm 30 patients have been taken to five hospitals. 9.32 am: Stuart Crighton, the assistant director of operations at London Ambulance Service, says a “number of resources” are at the scene, including more than 20 ambulance crews. 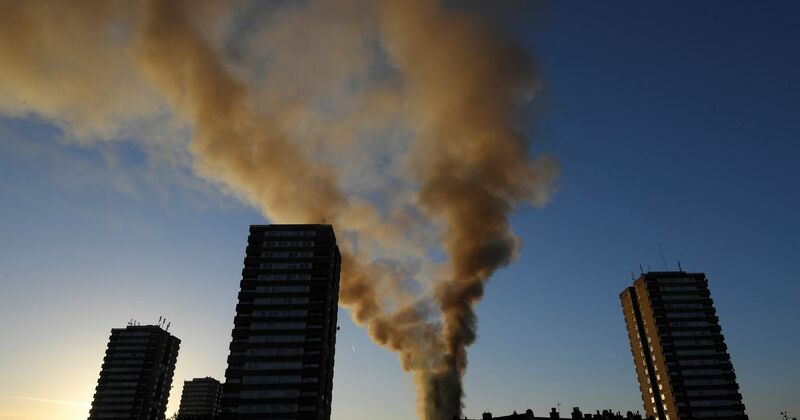 The North Kensington tower block fire is declared a major incident.